36017 SE Fish Hatchery Road, Fall City, WA 98024. 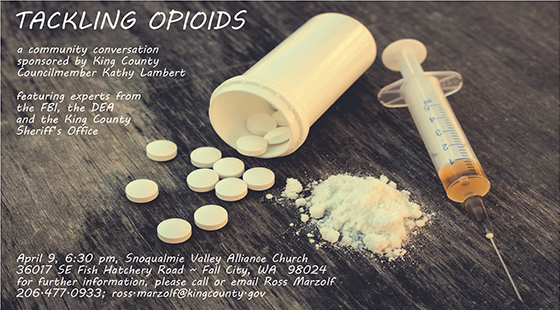 There will be expert speakers from the FBI, the DEA, and the King County Sheriff’s Office, plus other special guests from Swedish Hospital! I convened this meeting due to the increasing concerns that this issue is raising in our communities. Please join us to hear information that will be helpful to parents, students and all community members.